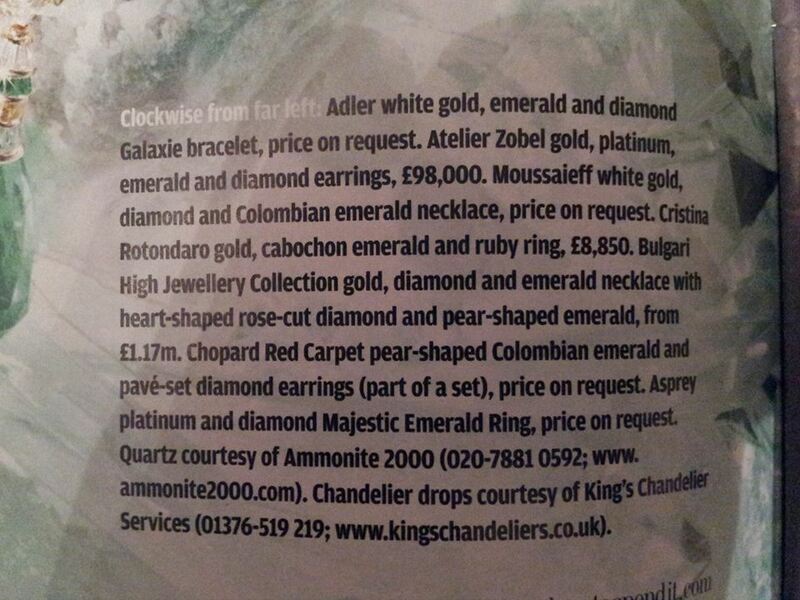 This weekend is birthday weekend at King’s Chandelier Services Ltd as it is eight years since the company was formed. Over those eight years the company has expanded to incorporate Light-Fix, our sister website, the chandelier cleaning, chandelier restoration and chandelier spares and accessories departments. Our services and products are international and not limited in who can purchase from us as we refuse to have a minimum order value – every order is important to us. Our birthday celebrations include the reduction in postage charges on orders placed via our website, and these reductions are not just for the weekend! Our new workshop and photography studio have been completed in time for the birthday weekend allowing us to plan the new “How to” videos – links will be posted via our blog to keep you updated. New product lines will be being added and with the delivery of a consignment of antique chandeliers and vintage spares you can expect over the coming months the chandelier spares and accessories sections to be updated. 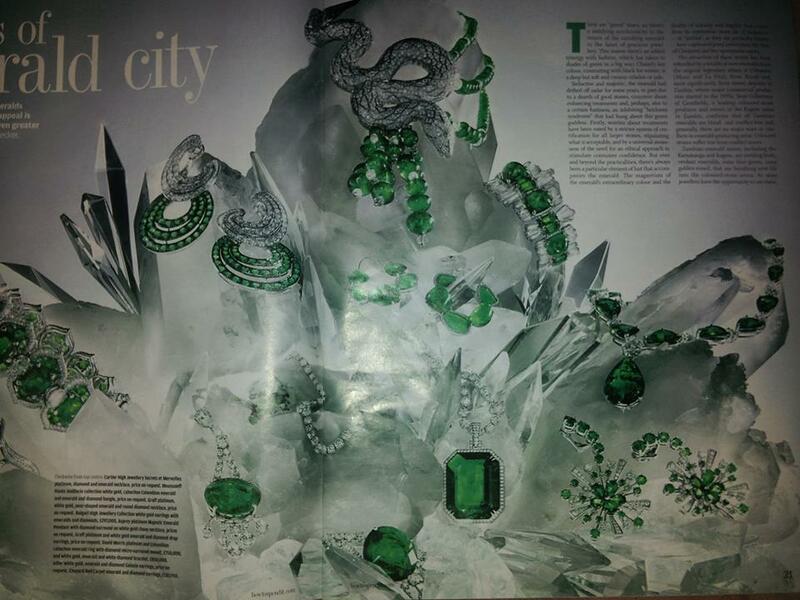 Kings Chandeliers & the Asprey’s Emerald Collection – a few years ago we were approached by a professional London photographer wishing to hire/borrow some of our antique crystal chandelier drops for a photo shoot for Asprey’s. On learning it was for nature of the photo shoot we chose our finest 18th Century hand cut chandelier crystals which are not for sale but are held in our own exclusive collection used for high end photo shoots and film productions. 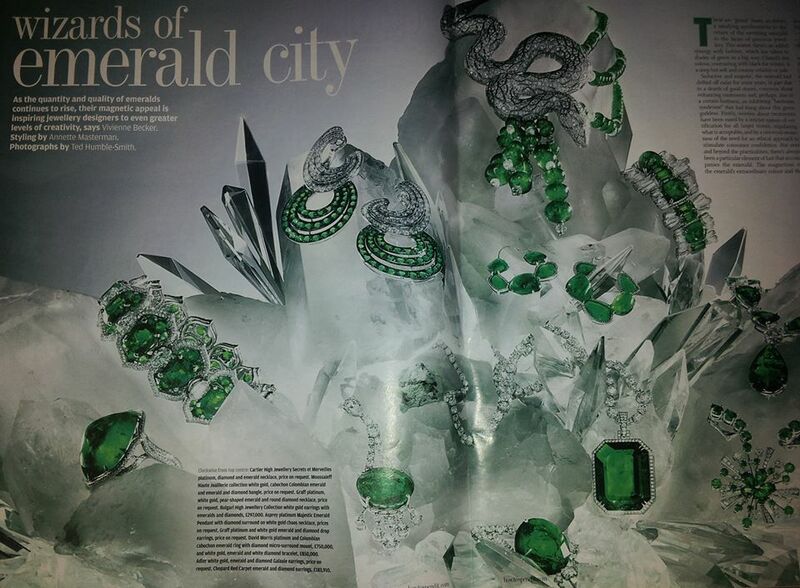 The antique crystal was used as a back setting for an Asprey’s Emerald Collection of fine jewellery with prices exceeding 1.1 million pounds.